431101 AQ-7 AQ-7 Smoke Tube Exhaust Boiler. Instruction Manual and Spare Parts. 431102 AQ-12 AQ-12 Oil-Fired Boiler. Instruction Manual and Spare Parts. 431103 KB250 Instruction Manual and Spare Parts for Burner Plant Type KB 250 and Control System. 431104 Saacke Instruction Manual and Spare Parts for SAACKE Oil or Gas Burners or Combination Oil and Gas Burners. 431105 Ashland Chemical Instructions for Transfer and dosing station for hydrazine (Ashland Chemical). 431106 GCS-21ST AALBORG Composite Boiler Type GCS-21ST - Instruction for Installation, Operation and Maintenance Manual, Description, Drawings, Spare Parts & Tools List (Catalog). 431107 OL 20000 KBSD1500 AALBORG MISSION OL 20000 Boiler with KBSD 1500 Burner - Operation and Maintenance Manual, Spare Parts List. 431108 Saacke Saacke oil burners Reference & Educational and Useful Information. 431109 ProMinent Dosiertechnik ProMinent Dosiertechnik - Dosing Pumps for Chemical Treatment of Boiler Water - Instruction Manual & Spare Parts. 431110 Wiesloch LAL Wiesloch LAL Oil Burner Controls - Operation Manual. 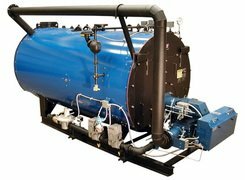 431111 Monarch Weishaupt Monarch Burners with Preheaters, sizes 5 to 11, version M, MS, RMS - Service Instruction Manual & Spare Parts Catalog. 431112 Weishaupt Weishaupt Oil Burners Type L, RL, M size 1, 3 - Installation and operating instructions. 431113 UNEX KH 1200/1000 UNEX KH 1200/1000 Boiler - Service Manual & Spare Parts. RUSSIAN LANGUAGE. 431114 OILON OILON Burners RP130H, RP140H, RP150H - Operation and Maintenance Manual. 431115 OILON OILON Burners RP130M, RP140M, RP150M, RP250M, RP280M - Operation and Maintenance Manual. 431116 OILON OILON Burners RP300M(II), RP400M(II), RP500M, RP600M - Operation and Maintenance Manual. 431117 OILON OILON RP52YP Automatic Burner - Operation Manual. RUSSIAN LANGUAGE. 431118 OILON OILON Data Guide for Professional Sales with Flash Video. 431119 Mitsubishi MAC-30B Mitsubishi Auxiliary Boilers Type MAC-30B - Instruction Manual in two parts. 431120 HTI-Gesab HTI-Gesab Thermal Oil Boiler Plant with Oil Fired Auxiliary HE25H50, Exhaust Gas Boiler AHE05V40, Pumps, Armature, Controls - Operation, Maintenance, Spare Parts. 431121 AALBORG Service Engineers Reports & Service Certificates for AALBORG Boilers. 431123 Mitsubishi MAC-25B Mitsubishi Auxiliary Boilers Type MAC-25B - Instruction Manual in two parts, Boiler Trouble Shooting List.